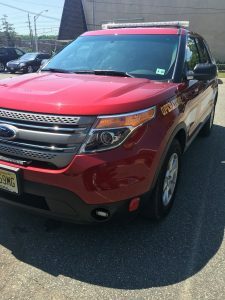 Operations Vehicle 73 is a 2014 Ford Explorer is used for daily Fire / EMS Operations, Fire Inspections and Enforcement. Command 73 is equipped with a full LED light package, including LED light bar as well as body mounted LED flashers, and four corner strobes. The vehicle is equipped with a custom made Command Center in the rear for tactical operations at a Fire or EMS scene. Communications equipment consists of Dual-Head/Dual-Band Kenwood Radios allowing interoperability on all VHF & UHF-T Band frequencies. Also included is a complete working area equipped with a MDT providing access to the internet as well as building pre-plans. This vehicle was placed in service in April of 2014. 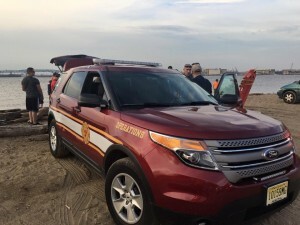 Operations 73 is operated by the Deputy Chief and District Fire Marshal of the Department and is used as a first response vehicle to a scene to size up the situation.